Since its launch in October 2010, Instagram has grown into one of the most popular social media platforms to date, quickly turning into a “must-have” for businesses of all calibers. As of March 2014, Instagram announced record-breaking numbers, topping out at 150 million active monthly users. Out of those 150 million monthly users, 70% log in at least once a day. With those kinds of numbers, it was only a matter of time before businesses started taking notice. As an avid Instagrammer myself, for my personal account @kristi_bee, for my dogs (yes, my dogs have an Instagram) @bensonandlexi and for Zion & Zion @zionandzion, I have learned the do’s and don’ts of Instagram through research and trial & error. Perfecting the art of Instagram is certainly no easy task, but once you get the hang of it, you’ll wish you had been an active user all along! Hi, I am Kristi Bielewicz. 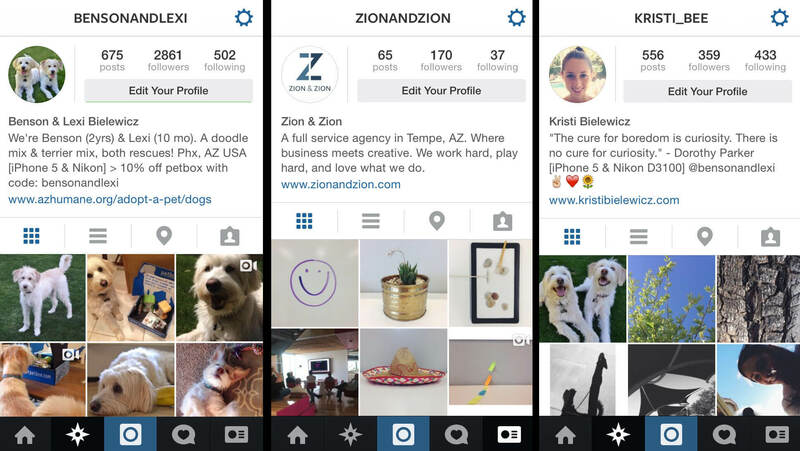 I am a concept developer here at Zion and Zion and I am going to talk to you about how to utilize Instagram for your business. Instagram has taken the world by storm as one of the worlds most popular social media platforms out there. When it comes to Instagraming for business, people think that they need totally different strategies in terms of how you would use Instagram for your personal account versus how you would use it for your business account. The truth of the matter is Instagram can be used very similarly. So take your personal Instagram for account, you are probably posting photos of things you just see throughout your normal day. Maybe you pass by a cool building that you think is architecturally interesting. You have a delicious meal at the farm at South and you want to snap a photo of that. You Instagram that. There are a ton of different things that you can Instagram for your personal account that is going to draw a lot of attention. You want to follow these same guidelines when posting on your business’ Instagram. So maybe you have a new employee and you want to feature them, maybe some behind the scenes information, anything that is going on with your business behind the scenes that is going to capture your audience and give them a new insight in to your businesses point of view. So that’s how you can take Instagram and use it for your business as well as your personal use and take the same strategies and make them work for both. I am Kristi Bielewicz. Thanks for watching. Instagram works very similarly to the other major social platforms out there such as Facebook and Twitter. You create an account, whether for yourself, your pets (okay, maybe that’s just me) or your business. Choose a username. This part is pretty important. If you are already on Facebook or Twitter, I suggest using the same name so that your existing fans can easily follow you from platform to platform. From there, upload an image to be your profile picture. Your profile picture will be 110x110px. On mobile, it will appear rounded, however on desktop it will appear squared, so be sure that whatever logo or photo you upload works in both formats. Instagram is primarily used via mobile, however there is a desktop version which creates a collage or “cover photo” on your account’s page made up of past posts. The largest size a photo will appear in this cover photo is 612x612px, so be sure that your photos look good at this size. Next you’ll write a description that fits into the 150-character limit, add in an optional link (preferably to your business’s website) and voila! You have an Instagram. Now you can start posting photos ‘til you’re blue in the face. But before you do, you’ll want to make sure you fully understand all that Instagram has to offer and take careful notes on some key do’s and don’ts. The main difference between Instagram and other social media platforms is simple; Instagram is 100% visual. To be successful on Instagram, you need to post captivating photos and optimize them so that others find them. Simple as that. Instagram is truly a unique community. It can be as tight-knit or global as you want it to be. You know that saying, “The world is your oyster”? Yeah it’s cheesy, but it applies perfectly here. Instagram is what you make it, and through the use of hashtags, comments and thoughtful interaction, you can turn your account into something grand; something that others look forward to seeing each and every day. Instagram Ads work just as you would expect them to. You take a regular post and then “sponsor” it (pay money) so that more people see the post in their feed. Instagram Ads appear right in your feed and look like ordinary posts. The only difference is that you will see a small icon along with the word “sponsored” in the top right corner of the post, along with a button on the bottom right that allows you to hide the ad. Hiding the ad does two things. Firstly, it removes the ad from your feed, and secondly, it provides feedback to Instagram so that they can continue improving the types of ads they show you. Instagram is always testing campaigns, working to perfect the integration of ads in a natural and beneficial way for its users. 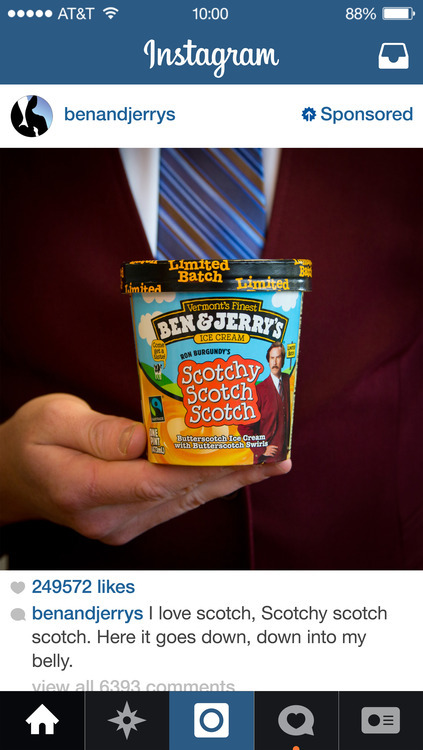 Both Ben & Jerry’s and Levis were some of the first businesses to test out Instagram Ads, resulting in promising results. 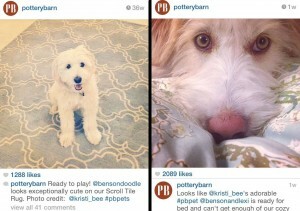 Understanding the do’s and don’ts of Instagram is awfully important. As I mentioned earlier, it can be a pretty tight-knit community and when used properly, can become a community for you and your business to thrive in. However, when used improperly, you can see extremely negative repercussions, so be sure to read these next sections closely. When taking photos for Instagram, you should follow the same guidelines you would if you were taking photos for Facebook, personal enjoyment or professionally. A lot of people believe that because Instagram is such an on-the-go form of social media, you can take poor quality photos, post them, and be done. While that is technically true, you can physically post poor quality photos, it is not going to get you followers, interaction or new customers. There are some serious do’s and don’ts of Instagram photography that might as well be requirements if you are Instagramming for business. DO post high-quality photos. iPhone photos are perfectly acceptable and in fact often preferred. However – please, I beg of you, make sure your photos are in focus. DON’T post blurry photos that were taken in bad lighting. DO use filters, sparingly. (Filters are the transparent editing tools that you can add to your photo to quickly change the coloring). This may come as a shock, but one of the keys to successful Instagramming is saying no to Instagram filters. Sure, they are conveniently built right into the app, but boy will they ruin your photos. I suggest downloading VSCOcam and Afterlight. VSCOcam is my go-to for quick editing and Afterlight is what I use when I want to post a photo that isn’t square (and I refuse to crop). Afterlight has a nice feature that allows you to turn your Portrait or Landscape styled photo into a square by adding white or black to the sides. DON’T filter so much that your photo is unrecognizable or unnatural. DO post behind the scenes photos. Instagram is the perfect place to show your customers and fans what goes on “behind the scenes” with creative shots that keep them interested. Let’s take a pizza restaurant for example. Post shots of the chef tossing dough high into the air, tasting the sauce or pulling a fresh pizza out of the oven. Show your followers things they wouldn’t find anywhere else. Just like most other social media platforms, Instagram makes use of hashtags. A hashtag is a type of metadata tag that is prefixed with the pound sign (#), allowing users to search different words or phrases known as “tags”. For example, if you are posting a photo of a dog, you may want to use #dog, #dogsofinstagram or #instadog. This way, when Instagram users want to find photos of dogs and they search one of these hashtags, your photo will appear. DO use appropriate and relevant hashtags whenever possible. DON’T take advantage of hashtags when they are not applicable to your photo. It is spammy and highly frowned upon in the Instagram world. DO your research and find relevant and popular community hashtags to join in on the fun and get noticed. 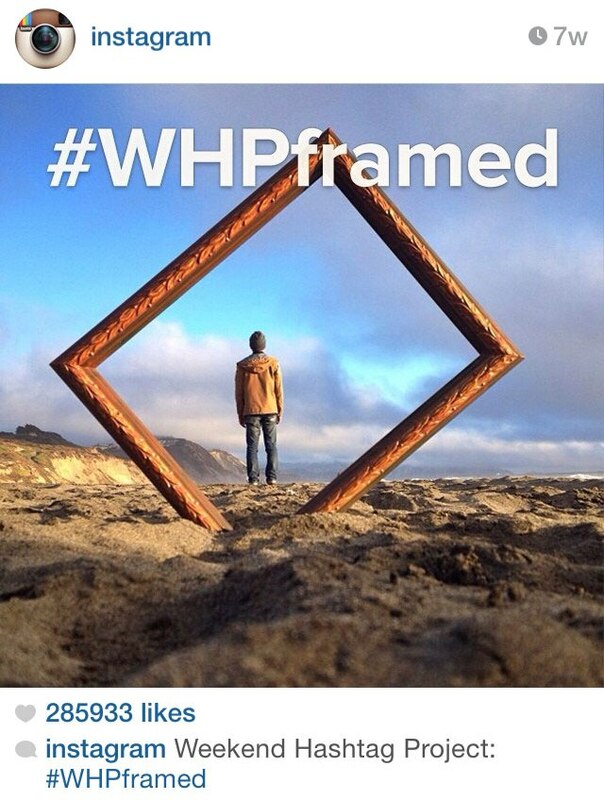 For instance, @Instagram does a #WHP (weekend hashtag project) in which they post about a new photo project for users to partake in each weekend, focused around a single theme, all brought together by one hashtag. #ThrowbackThursday, #TongueOutTuesday (primarily for pets) and #MotivationMonday are just a few other examples of the kinds of community hashtags I am talking about. Additionally, there are plenty of local hashtags to take advantage of as well such as #IgersPhx (Instagrammers of Phoenix) and #InstagramAZ. DON’T create a custom hashtag for every photo you post. It gets confusing and it will not help you grow your following. DO create a few custom hashtags for specific events or series and use them on a regular basis. For example, @zionandzion uses #ZZDeskAccessories whenever posting something fun (or odd) found on someone’s desk. We also tag all of our photos with #zionandzion for consistency. My dogs Benson and Lexi each have their own hashtag, #bensondoodle and #lexitheterrier, respectively. This allows users to view all photos of either dog by searching their unique hashtag. @KateSpadeNY does a great job with #livecolorfully and #travelcolorfully, two hashtags that they keep consistent and use on a regular basis. DO post about current events when you are able to relate them back to your brand, always researching to find the correct hashtag for the event at hand. DO add text overlays to your photos. The app Over makes this easy, giving you different fonts and designs to play with. Here is an example of a video that was created for the Zion & Zion Instagram to showcase our new business cards. It is simple, fun and was easy to make. In June 2013, Instagram announced the addition of video. This opened up an entirely new world for Instagram users. With the ability to post 15 second long videos, users began getting more creative than ever to come up with fun and clever videos to post. Many people compare Instagram’s video functionality to the other popular video app Vine, however, Vine and Instagram are very different. Vine only allows you to post 6 second videos that loop continuously. The 15 second long video Instagram allows is perfect for businesses as it allows you to show longer, more in-depth clips, thus connecting with your followers and customers on a more personal level. So how can you take advantage of Instagram videos? DO think outside the box. One of my favorite exercises is to go to a popular spot, whether it is the lunchroom in your office, the checkout line at your business or right in front of your store. Once there, look around. Look for anything that catches your eye. Once you find it, film it. Going back to our pizza restaurant example; a photo of the chef tossing dough into the air is great, but a video could be even better. Interviews of team members, happy customers and owners are other fun ways to show your followers some behind the scenes footage. DON’T post shaky, poor quality videos. DO post a variety of videos. Behind the scenes, slideshows and stop-motion are some personal favorites. Stop-motion is a fun way to incorporate video into your Instagram and with the app Flipagram, it’s made easy! DON’T film if there is unwanted background noise. Make sure you are listening to your surroundings just as much as you are looking at them. #InstaVideo, #VideoGram and #VideoOfTheDay are just a few of the global hashtags that you can tag your videos with. Increasing your following on Instagram, just as with any other social media platform, takes time. However with dedication, time, knowledge and a little bit of creativity, your Instagram will begin to take off. If you want people to follow and interact with you, you’ll have to follow and interact with them! Sharing your Instagram photos on other social media platforms allows you to repurpose your Instagram content while cross-promoting within your social network thus driving Facebook and Twitter fans to your Instagram account. You can do this easily by connecting your existing accounts directly to Instagram. To do so, simply login to Instagram, go to your account settings (that little gear icon in the top right corner), scroll down to “share settings”, and begin linking your accounts. Then, as you post new photos and videos, before clicking “Share”, tap on the accounts you want to share the post to. Instagram is a two-way street and to get noticed, you have to notice others. Search hashtags and create relationships. It is not uncommon to have conversations with other users through comments. If you find an account you like, give them some love. Like a few of their photos, comment, and follow them! If they like what they see on your account, they’ll follow back. When new users follow you, be sure to interact with them and if deemed appropriate, follow them back as well. Every time you post a new photo or video, think hard about the caption. Don’t just type in the first thing that comes to mind. Captions that start or end with a question generate quality interaction as users feel more inclined to comment when they have a question to answer. Although this is not a do’s and don’ts section, I feel the need to say DON’T go crazy and follow every account you come across. Be genuine and be honest. That is how to increase your following and create meaningful, relevant relationships. Unlike other social media platforms, Instagram does not give you the option to schedule posts ahead of time. Personally, I prefer this because it keeps Instagram genuine, avoiding the spam-like posts that often come from the ease of scheduling ahead of time. However with that being said, it is important to create a posting schedule. This will ensure you are posting a variety of photos and videos on a consistent basis, giving your followers quality content that keeps them interested. It also gives other users many opportunities to find your posts through hashtag searches, thus increasing your following. Holding contests on Instagram is an easy way to increase your following and reward existing followers. There are endless possibilities when it comes to contests, but some of the more popular involve asking users to upload a photo and hashtag it with the contest hashtag you create to be entered to win a prize. DON’T make contests last too long. I would suggest 1-2 weeks, max. A few days would be ideal. DO create a distinctive hashtag that has not been used before. You can make sure yours is unique by searching for the hashtag. If nothing shows up, it’s a good choice! DO cross-promote the contest everywhere. On Facebook, Twitter, Pinterest, your blog, email blasts, etc. DO post reminders about the contest at different times of the day. This will ensure you reach as many people as possible. DO tag the winner in a follow-up post announcing what they have won and thanking everyone for entering. To tag, simply begin typing the username in the caption and their account will appear. By following these guidelines and dedicating the necessary time and energy, I was able to double the @zionandzion Instagram following in just 6 weeks. Remember my adorable dogs with the Instagram account? Well, I started their account summer of 2013. 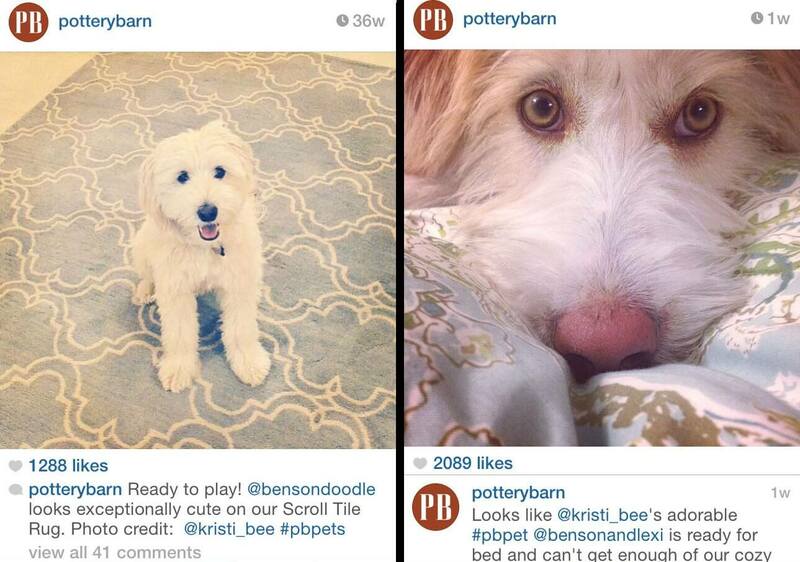 Ten months later, they had over 2,800 followers, have been featured on the @PotteryBarn Instagram twice (see features to the right) and were chosen to be Instagram Spokesdoggies for @PetBox, in which they receive a free box full of treats and toys each month in return for monthly Instagram shoutouts. These are the types of interaction and success you can look forward to gaining on Instagram. Through these successes will come more followers, more interaction and therefore, more customers and business. Instagram is truly a unique social media platform. With so much creative freedom, it is no wonder the platform has sky rocketed in popularity and users. By following the above guidelines and working hard to find the perfect balance of fun, creative and brand specific posts, you can turn your business’s Instagram account into something that you are proud of. Instagram is all about creativity and having fun. You can post photos and videos that are completely related to your brand, as well as things that are indirectly related to your brand. It is all about finding that balance. I admire the way Nike finds this balance, posting product photos as well as athlete photos as a way of inspiring their followers. You don’t want to bore your users with never-ending branded posts, but at the same time, you need to remember to bring it back to your brand as often as you can. 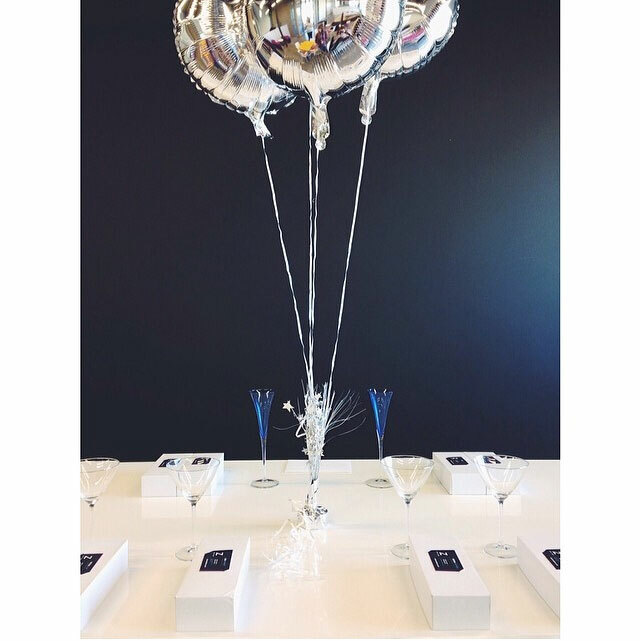 After all, Instagram is more than a fun app to play with; it’s a modern day marketing tool. Expanded Ramblings is a Digital Marketing blog that posts about the latest marketing stats, tips, trends and technologies. I used this source to pull some of the most meaningful Instagram statistics to reinforce my point that Instagram is a platform businesses need to be on. Whenever you are looking for quick and basic Instagram help, if you can’t find the answer in this post, chances are the answer can be found on the Instagram Help page. Instagram and Facebook are two very different social media platforms, however understanding one will help you to understand the other. The Facebook Help page is full of useful help and answers to your common questions. To read more about the differences between Instagram Video and Vine, as well as other technological advancements and news related posts, TechCrunch has you covered. Prev post : Why Use WordPress?